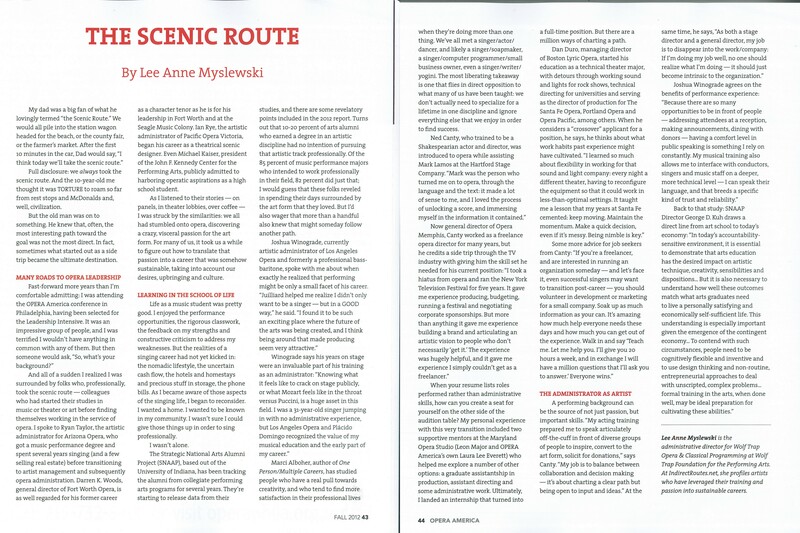 Kelley Rourke, on behalf of her fantastic colleagues at Opera America, asked me to do a little writing for their magazine. I was flattered to be asked, and used the opportunity to pick the brains of several folks who had interesting career trajectories. If you’re an Opera America member (and if you’re not, join the heck up! ), you can read the article on their website. If not, click below to enlarge.